Nicole Kidman’s hands tell us that she is a refined non-aggressive person, a person who is controlled and disciplined in her life. These qualities almost leap out at you from the shape of her hands and fingers but there is a lot more to her that this. desires celebrity. Check out one of her hand photos here. Her thumb tells us of her ability to be smooth and charming, and also tells us that she is slightly self-centered. She can be quite manipulative when it comes to achieving her goals. Her Mercury Finger sends a strong signal that she will use people if necessary. What strengthens this indication is the limited width of her Mount of Venus which reveals a lack of warmth towards people in general. However, passion is shown. People like her need to be careful as there is a thin line between manipulation and outright deceit. Another important aspect of her personality is her intensity. This colours her whole personality. Luckily, her hands show a high intelligence, a thoughtful, introspective and practical outlook. This can keep her personality in balance and prevent her from lying. Another strengthening aspect of her character is that she can see issues from a broad perspective (shape of palm), and is also able to see another point of view. She is not stubborn. She is a neat and organised person and likes to plan her every move. She can go to an extreme in this. The lines in her left hand are not clear from photographs, specially her Heartline (she is left-handed, so her left hand will reflect her current state of mind) but in her right hand (inherited qualities) the Heartline looks short. This is not a good combination with a limited Mount of Venus (in both hands) as it indicates a mentally cold person. True, her Girdle of Venus (visible on the right hand) shows intensity of feeling, but combined with other indications it means that the sensitiveness is often reserved for herself. Such people suffer a lot as a consequence. As her personality (overall) shows a strong intensity of temperament and a tendency to go overboard, sensitiveness can make it difficult for her to handle the ups and downs of life. Nicole Kidman has a good imagination (Headline, Mount of Moon) but this imagination is not always a healthy one. There is some element of morbid and depressive thinking (hand colour, Lower Mount of Moon, Girdle of Venus). She can wallow in grief for quite awhile. Actually she doesn’t have too much of mental strength or resistance (Mount of Mars) and could find it difficult to handle setbacks. Her tremendous talent (Apollo finger, its phalanges, Mount of Moon) is evident. There is constant quest for excellence. She has a tendency to take everything to its limit, and this applies to her work as well. She will stretch herself. Making money is not her objective. She wants to be known for her work. Despite her rather detached personality, Nicole Kidman can be quite generous and very passionate and committed. Personally she does not need much to keep her happy, not too many physical comforts and certainly not society. She lives in the mental realm and in an inner world. There has been talk of her disappearing from Hollywood, and temperamentally she is quite capable of going into hibernation for long years. It will be a loss to Hollywood if she does. I do not publish photos of celebs on this blog as I do not own the photos. However a link to a photo is always given, and additionally readers can always check for more images on the internet. I agree with you purpler. This lady is very complex. I wish I could have seen her lines as well. There were some things which I held back from writing even though I strongly suspected them! Vishesh, I have list of those in whose hands you have expressed interest. I remember you had mentioned Kalam at one time. And then Martin Luther king or Aurobindo Ghosh. 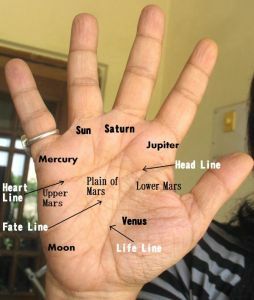 I have collected photos of Kalam's hands and will read his hands in the near future. I checked for the hands of Aurobindo but have not been very successful. I have also checked for the hands of Martin Luther King. I have found some but hope to find more. The people whose hand photos are easily available are those who are still alive and those who are celebrities as they wave out to a lot of people! Jose Mourinho is not impossible, let me see. Thanks Vishesh, your suggestions are good and I have them in mind. Anonymous, first and foremost I must mention that going just by one sign is incorrect, as another sign might contradict or temper the reading. When it comes to a fork, it depends on the width of the fork and which direction the branches are going, whether they reach a mount and whether they headline is straight or sloping and whether both branches enter into one mount and whether one branch forks again. Really, the possibilities are endless. And I do not believe in "tridents". It is a most rare sign and I have seen it only once or twice in the hundreds of hands I have seen. Chance lines are usually mistaken for tridents. If any chance lines are touching the fate line it depends which mount they are coming from, whether the cut the fate line, go past it, stop short of it, and the quality of the line, and the quality of the fate line after the even. The possibilities are endless here too.